I have loved the changing seasons since I was a young girl. Where I grew up, seasons were subtle. 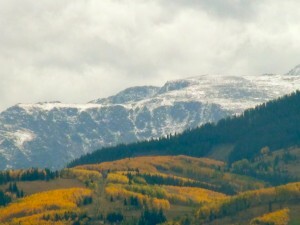 The arrival of autumn was preceded by a light, swirly wind barely noticeable on an October day after summers of the triple-digit variety. Now I live in a place where the progression of time is profound. 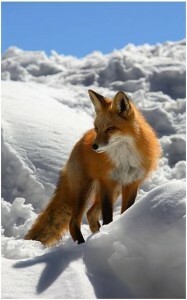 Crystalline summer days balance the four feet of snow outside my office window as I type. Blazing fall leaves vividly contrast with the muddy months of spring. Each of our four seasons is unmistakable. 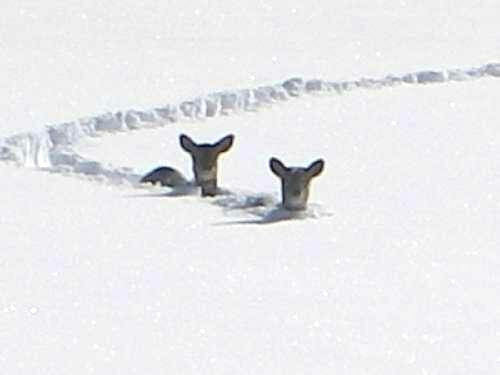 This has been a particularly snowy winter. Yesterday, the municipal bulldozer ferried loads of snow between our short street and a dump truck, gradually moving a pile the size of an eighteen-wheeler trailer to parts unknown. But we’ve also had days in the forties lately, and the skies today are Mountain-Bluebird blue. Most exciting, my three favorite harbingers of spring are here. Enormous flocks of spunky robins punctuate branches with splashes of fiery red breasts. 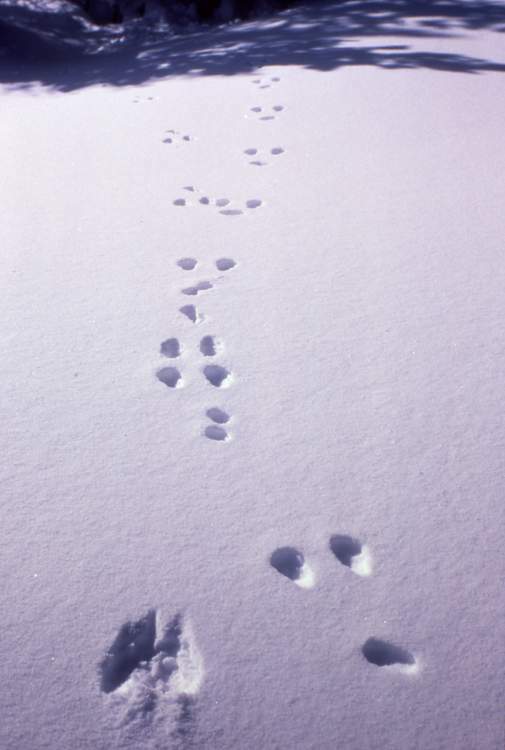 The snow-shoe hare that lives under a rock bench overlooking the back meadow left a trail through the snow. 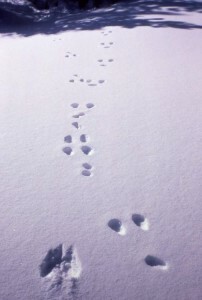 I saw the hopping furball Monday morning just before dawn, and yesterday evening it darted underneath serviceberries, toward its burrow, making me smile. The bald eagle that spent half an hour swooping and diving, hunting (probably the hare) within a hundred feet of my office windows this morning thrilled me. They mate for life, and migrate up and down our valley every spring and fall. I wonder if it’s one I see every summer on a particular bend of the river. We often anchor up to watch family life in a nest atop a long-dead, massive, tree. I’ve fly fished this river for almost twenty years, and know where to find treasures normally hidden to those in passing boats, rafts, and tubes. Spring: a time of renewal. A two-steps-forward, one-step-back ritual as new growth battles defiant winter weather until it finally yields. Spring reminds me of my spiritual journey. One of rebirth and unavoidable failures, thankfully punctuated by glimpses of the Divine. The first manuscript, When Camels Fly (WCF), is being evaluated by acquisitions editors everywhere, including Big Six publishing houses. The second, The Brothers’ Keepers, is about to bounce back from a professional edit. (I’m confident in my work, but realize I can’t see some of the flaws in my children, much less my manuscripts.) The third story is pushing to the front of my head, behaving like an impatient two year old. Behave! Last night’s bout with insomnia included finalizing a shot list for Israel. Before you panic, a shot list is a marketing term used to direct a photographer to ensure the client gets photos he or she wants for an ad or campaign. In the Middle East, I realize shot list could have dangerous connotations! My list includes the Monastery of the Temptation, perched high above the Jordan Rift Valley, which is part of the 3,700-mile Great Rift Valley — the pathway for humans spreading from Africa, through the Fertile Crescent, and across the globe. The Western (Wailing) Wall of the Temple Mount, the most contested piece of real estate in the world. 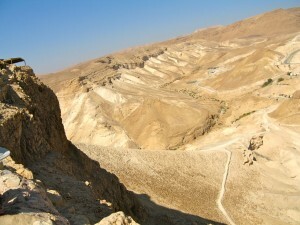 The Ascent of Adummim (mentioned in the Psalms of the Ascent — 120 through 134), once the main route from Jericho to Jerusalem and now a mere camel track. These photos and videos will become integral parts of my marketing campaign. But more importantly, they’re part of a shared cultural heritage, and my Christian history. I’ve seen these places before, but they thrill me every time. I wander the Judean wilderness, observe commotion in the plaza below the Mount, or see the dusty trail above Wadi Qilt, and catch my breath at God’s grace because I’m there. I look forward to sharing all of this with every one of you. Stay tuned! 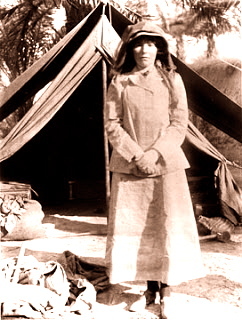 Exactly 100 years ago, Scottish explorer Gertrude Bell’s Arabian Diaries were published. She traversed the Middle East, exploring archaeological sites when it was still the Ottoman Empire. Jordan, Syria, what is now Israel but was then Palestine, Arabia: these were Bell’s turf, where she worked beside T.E. Lawrence — Lawrence of Arabia — and under Winston Churchill, and helped seat Faisal on his throne. In a month, I leave again for Israel. Compared to Bell, who was attacked by Bedouins, sequestered in a harem, and traversed sands via camel and stallion, my visit looks as exciting as a trip to the grocery store. (I’m okay with that.) She was motivated by a desire to see the world, understand the foreign, and escape a privileged life bound by teatime and nurseries. I travel to Bell’s domain to explore the origins of my faith — a desire consistent with my return to seminary in my late forties — and better understand how Christianity interacts with an ever-changing world. My visits answer questions of context. In terms of theology, have you ever wondered about the period between the Old and New Testaments? (It’s called the Intertestamental Period.) Or the world into which YHWH (the “Father” third of the Trinity) introduced Himself to mankind? How about Paul’s verses in his letter to the Corinthians — you know, the at-first-glance-controversial ones about silence and head covering? Answers to all three represent how context impacts understanding of scripture, and cluelessness about context leads down the rabbit trail of heresy. From the theological to the physical, I remember hearing my first Islamic call to prayer — in Jerusalem. I was transfixed. The Roman Cardo, near the Western Wall, worn low in the center from millennia of bare feet and leather soles. Indistinguishable scents from stalls on King David Street. A 118-degree afternoon on the shores of the Sea of Galilee. The cool beauty of tel Dan Nature Preserve in the north. While I have no delusions about my visit creating a body of work as important as Bell’s, I’m a stickler for details and eager to share my love of this remarkable place. So back to Israel I go, camera and netbook in hand, assembling the tangible tools to market my novels. I’m going for me, and I’m going for you. And I think Ms. Bell would approve of our adventure. Stay tuned! I hear two noises outside this time of year: the occasional party-animal fox and its yipping friends, and the grinding swoosh of the municipal snowplow, whose driver is my hero. Adding a link to my facebook log today, I realized my favorite cathedral characteristic — silence — surrounds me here, in my hermitage. 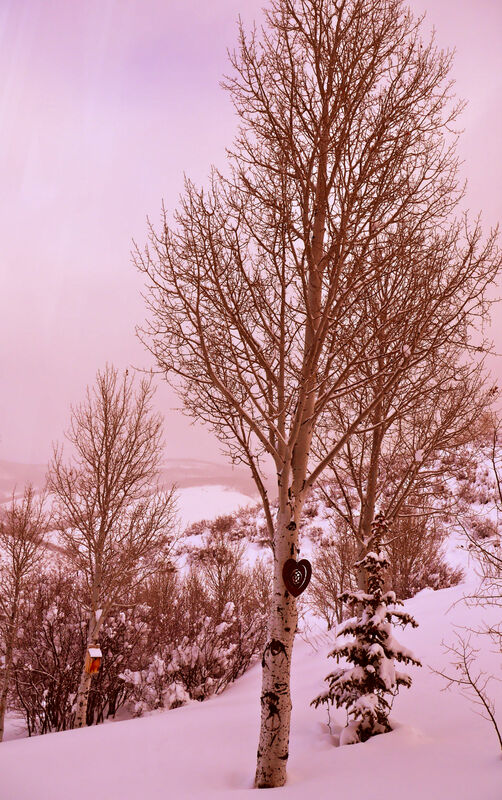 I live in a cathedral, albeit one with glass walls, perched on a mountaintop, with 270-degree views up and down (snowy) valleys. Swirling Red Tail hawks dance with crows and magpies, swooping and dipping as if mimicking the flying arms of a choir director. The random Golden or Bald Eagle lumbers through during a twice-annual migration like a visitor to a Sunday service. 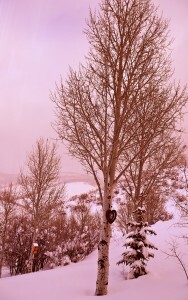 I’m watching for the Mountain Bluebirds (less than three months! ), their cerulean feathers bouncing like blue bullets through the landscape, constantly moving like a fidgeting children’s choir. A train of eleven deer, chugging one behind the other because the snow is deep enough their bellies drag, crossed the meadow below my office yesterday, then slipped into a grove for an afternoon nap like latecomers to the early service. Sunrises and sunsets are so colorful you’d think God took a Crayola to the sky. Prisms of the rainbow slide across the snowpack most mornings and afternoons like light piercing stained-glass windows. These sensory, worshipful experiences inform my writing, clear my mind, enable me to focus on developing characters who believably struggle to live their faith. And in here, especially, I’m never far from my beliefs. There’s snow on the mountain a couple of miles in front of me, and we have a very snowy forecast for the next ten days. Nothing dramatic like our three feet in five days of last week, but that gentle, consistent moisture that softens visual lines, and muffles noises that disrupt my work and worship. I’ll spend more time than usual in the office because of the weather, trying to beat an editing deadline. I am blessed to work in a place of worship, but shouldn’t every place we inhabit be one of those?